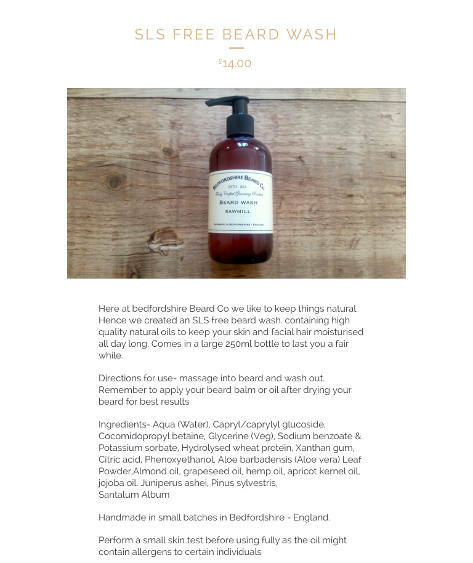 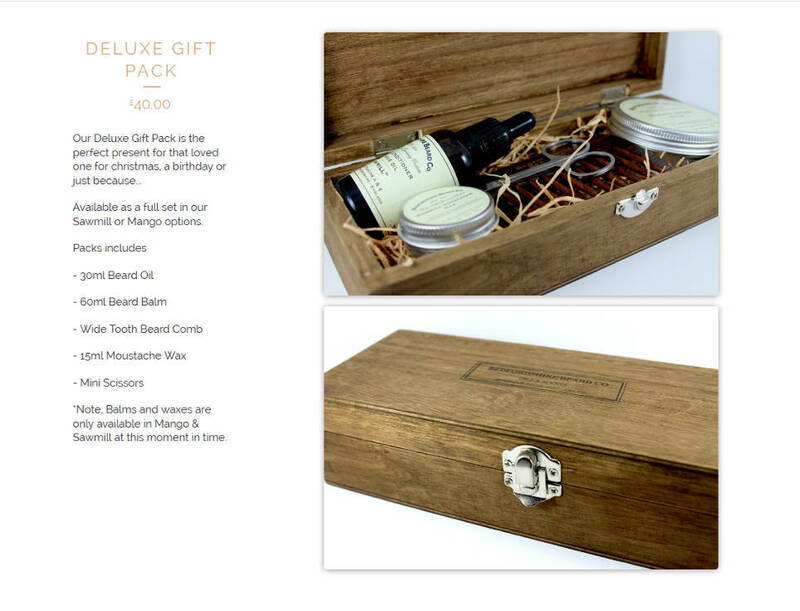 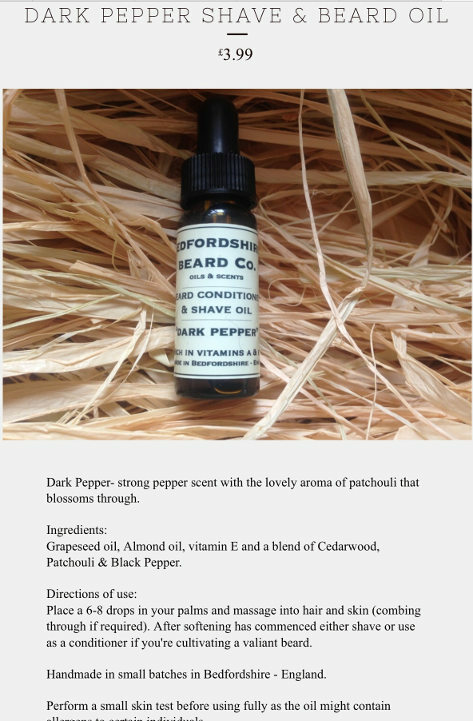 Beard Oils & Sprays from Bedfordshire Beard Co. 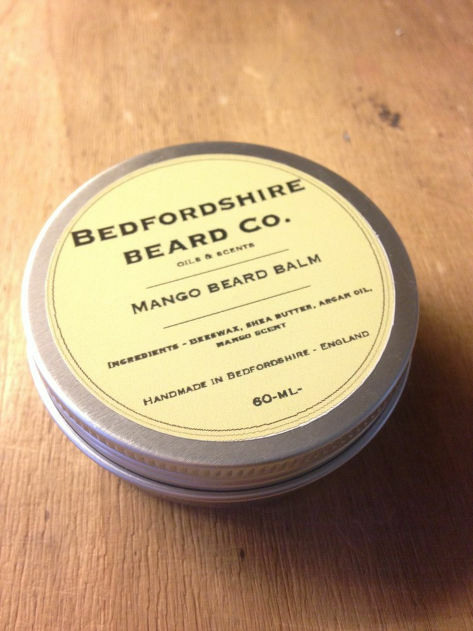 Beard Oils & Sprays from Bedfordshire Beard Co.
Our Mango Beard Balm is a great way to add a little hold to your beard but still keep it looking strong and healthy. 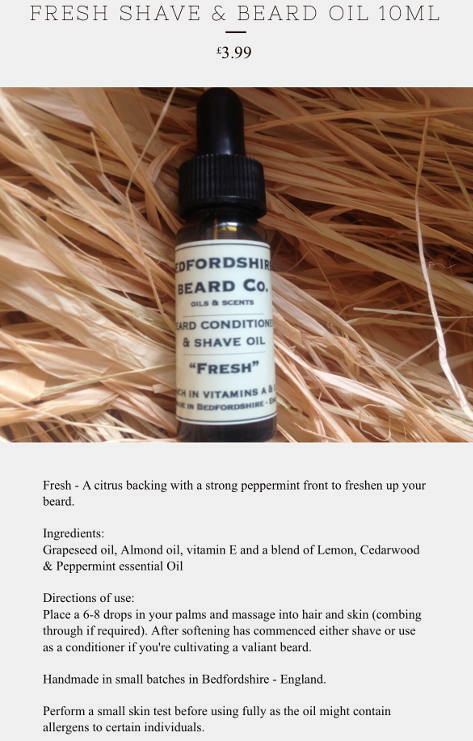 Always one for those longer beards that stray and comes in a 60ml tub. 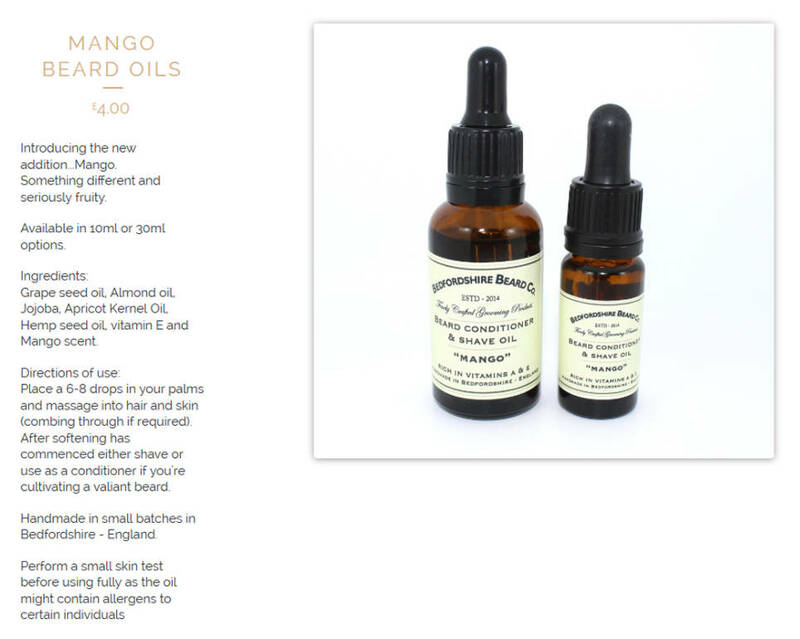 Ingredients- Shea Butter, Beeswax, Argan Oil, Mango Scent. 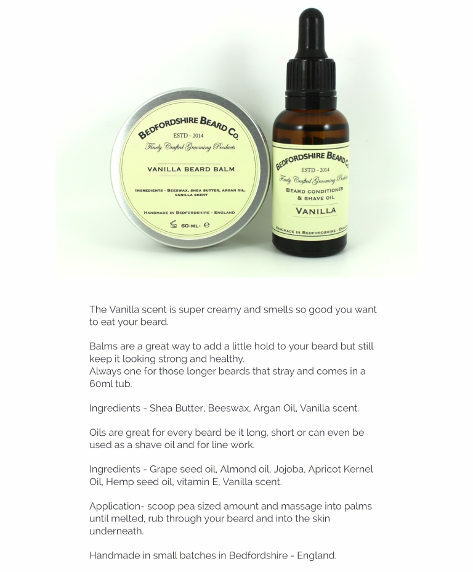 Application - scoop pea sized amount and massage into palms until melted, rub through your beard and into the skin underneath. 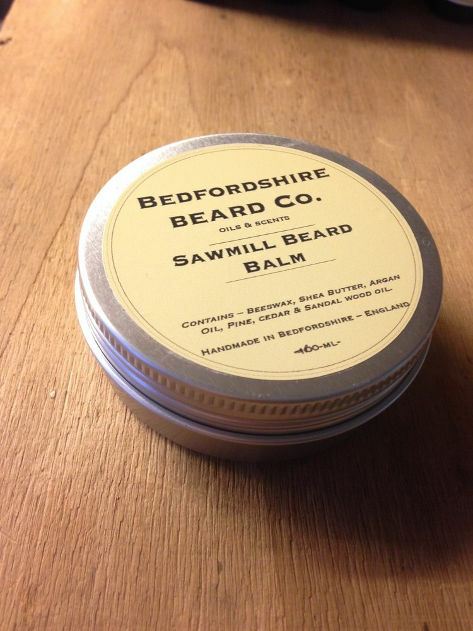 Our Sawmill Beard Balm is a great way to add a little hold to your beard but still keep it looking strong and healthy. 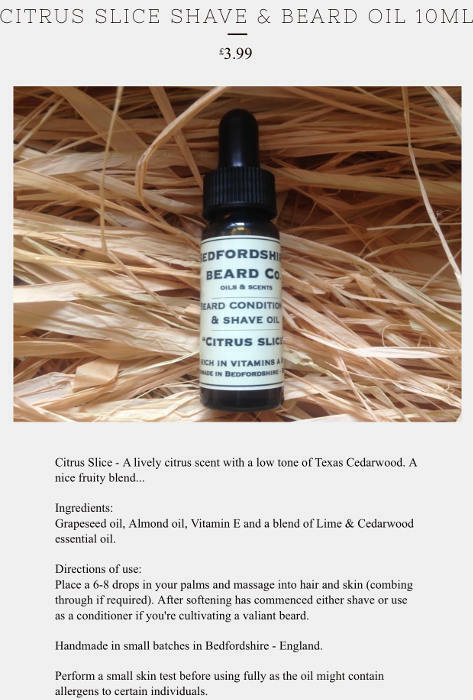 Always one for those longer beards that stray and comes in a 60ml tub. 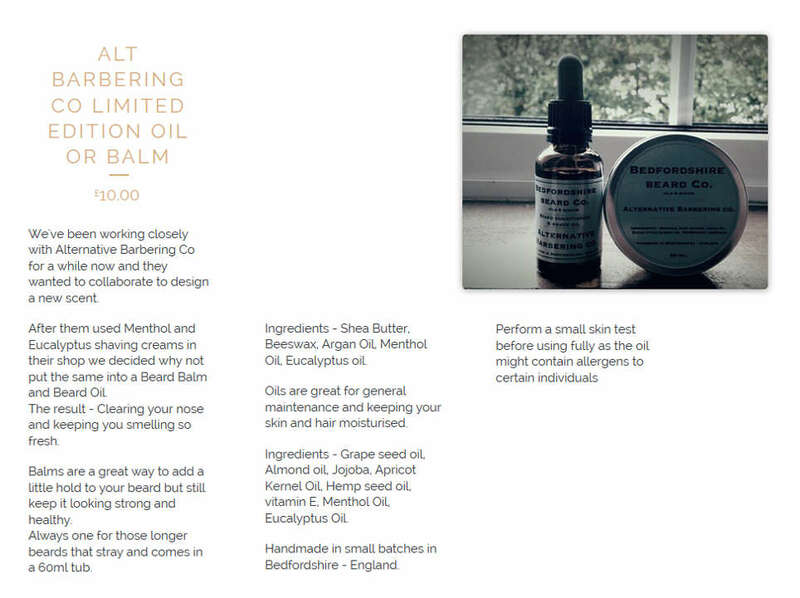 Ingredients- Shea Butter, Beeswax, Argan Oil, Cedarwood Oil, Sandalwood Oil, Pine Oil.